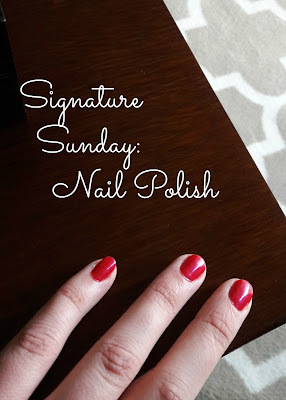 The fifth and last signature nail polish in this series is... California Raspberry by OPI. This is my dark pink shimmer. 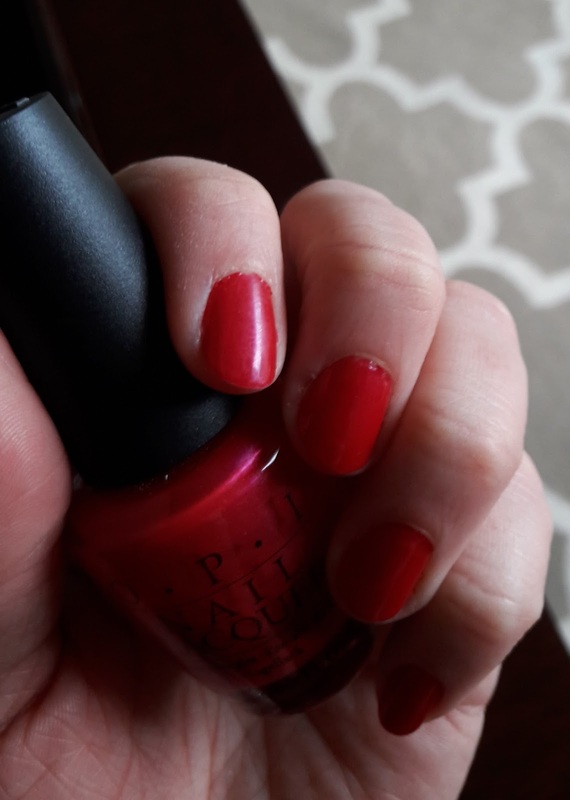 It is the reddish pink I love, but leans berry. In the bottle, the color is reddish pink and the shimmer is bright berry that is almost silvery. On the nail, I find that is a bit more berry and the shimmer matches the color. I chose California Raspberry to be my January manicure. I painted my nails on the evening of the 23rd. That was a Monday night, the last part of my Sunday-Monday weekend. 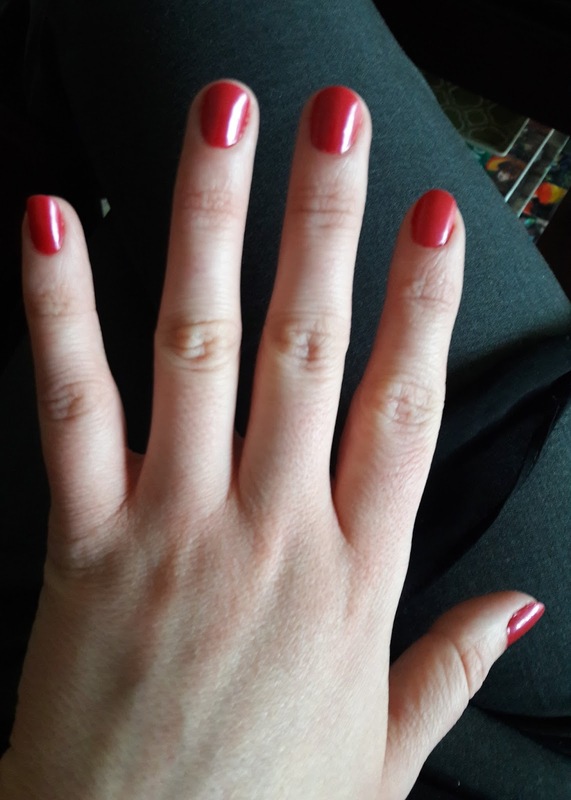 It was nice to have my nails done for the workweek. It was fantastic to wear a bright yet rich pop of color in the middle of the winter. This shade was my absolute favorite for awhile, but now this was the last one featured for a reason. I feel like it is a tiny bit too cool for me, too berry for my taste. I wish I could find a color like the reddish pink Style Hunter but with shimmer. If you have any suggestions, please let me know! This is not all the nail polish I own. I also have a bottle of Dutch Tulips by OPI and Watermelon by essie. Dutch Tulips is incredibly close to Style Hunter. I prefer the OPI brush and the travel-related name. Watermelon is a bit lighter and pinker, juicy for summer! I hope that you enjoyed this series. What are your signature nail polishes? Every time you post one of these it makes me look through my polish drawer to find something similar. I don't have a berry with shimmer to recommend. Two of my OPI classic colors that I love are dutch tulips and malaga wine. I never get tired of those. For darker colors in the grey and maroon family I like OPI Berlin There Done That and OPI Scores a Goal. 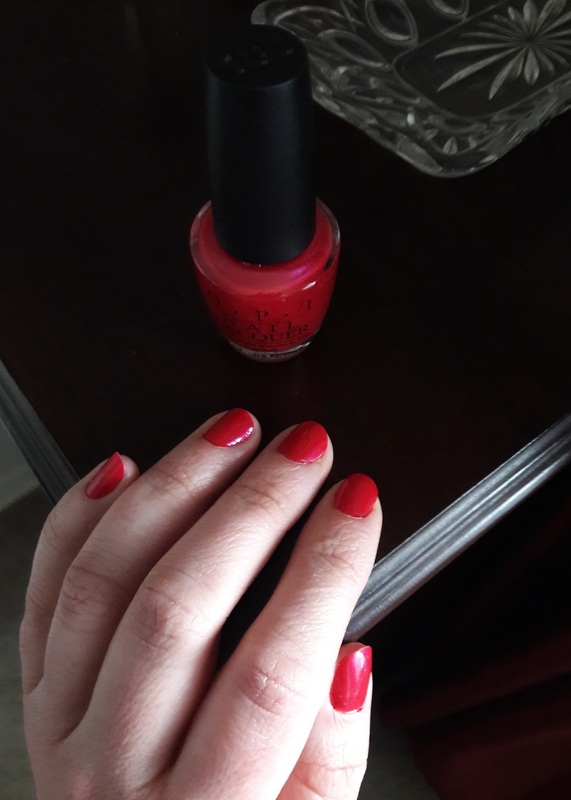 My absolute favorite drugstore nail polish is Revlon Red. All of those are so sophisticated! In choosing one of their polishes, I've considered Strawberry Sorbet at my local nail salon, but just haven't tried it yet. 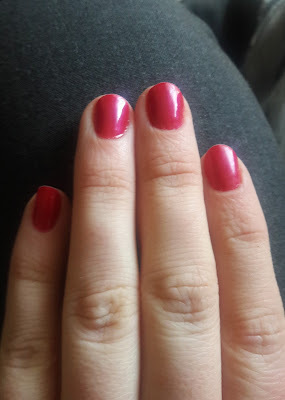 This may be the shimmery reddish pink I'm after, but it seems to be unavailable on the internet... I'll keep looking. Essie's resort collection for 2017 is inspired by the Amalfi Coast- the Resort Romanza color is so pretty. Here is a link to some swatches- enjoy!